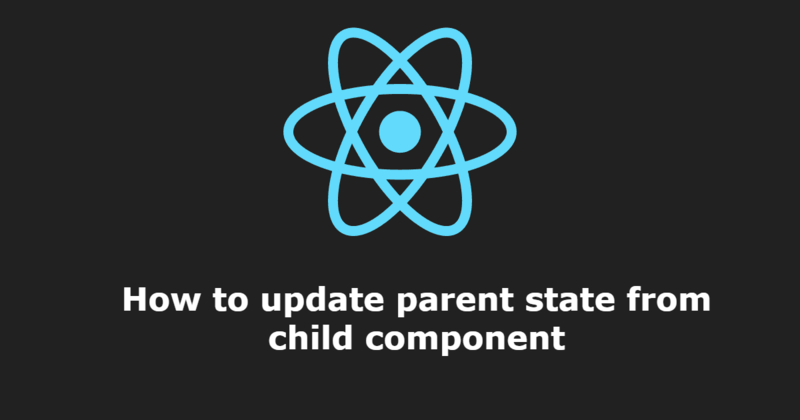 You may want to modify some properties in the state of the parent component from a child component. Although there's no directly way as adding references, like you do when you want to achieve parent-child communication, you can still achieve it indirectly. To achieve the child-parent communication, you can send a function as a Prop to the child component. This function should do whatever it needs to in the component e.g change the state of some property. The state of this parent component has the messageShown property that we want to change for some reason from the Child component. In the parent we'll render the Child component and we'll send as a property (in this case action) the handler function declared in the parent. In this way you can execute parent functions from your child component easily.